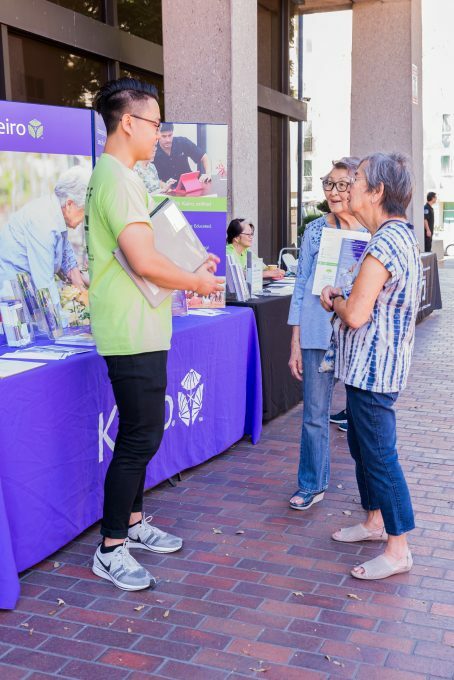 When I joined the Keiro team in the summer of 2017, I had a very narrow understanding of caregiving, both as a life-changing experience, and also as a crucial subgroup within our expansive Japanese American and Japanese speaking community. 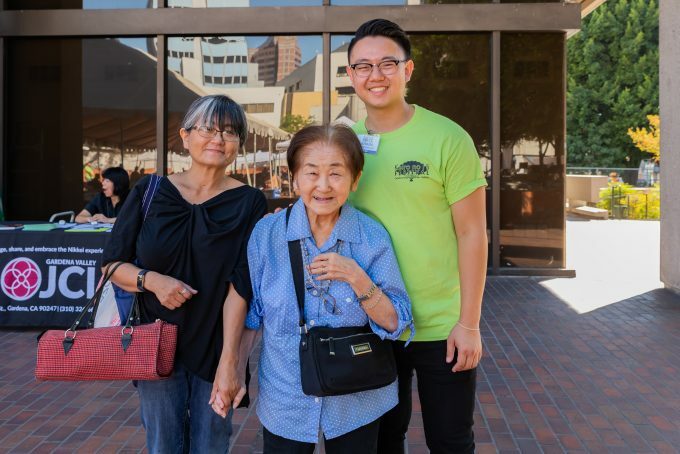 Since then, I’ve had a chance to work on three Caregiver Conferences and was in charge of planning our most recent conference at the Pasadena Buddhist Temple. Planning the conference is a really exciting opportunity. We begin the process four months in advance to give ourselves plenty of time to coordinate speakers and volunteer consultants, organize the resource fair, and conduct registration. At the conclusion of all of the planning, we will have considered components large and small to ensure a seamless experience from keynote presentations down to a spotless gym floor. It was a challenging experience and, like any of the projects I’ve been able to work on at Keiro, all of the preparation was worth it. From the very beginning, our vision for the conference was to deliver the information to make the content more tangible for the attendees. We wanted to give attendees tools and resources that they could take home and begin implementing right away. 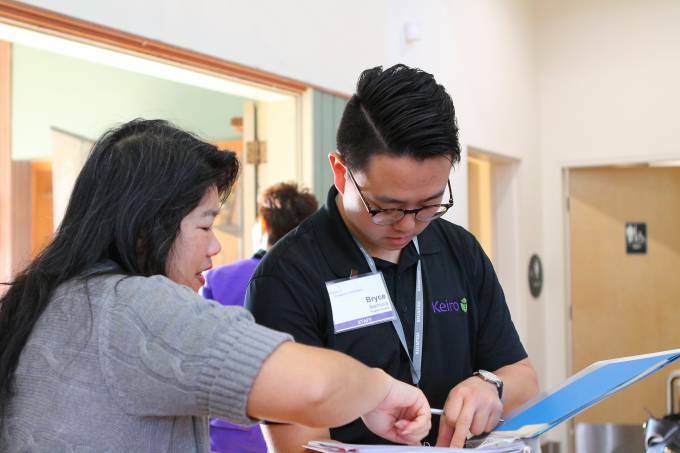 In particular, our Mobile Caregiving breakout session was a conscious decision to include as Keiro begins to be more inclusive of technological and forward-thinking solutions to aging. At the start of the planning process, we formed the conference planning committee with the Pasadena Buddhist Temple, First Presbyterian Church Altadena, Pasadena Japanese Cultural Institute, and Pasadena Nikkei Seniors to shed some light on the challenges their caregivers might be encountering. 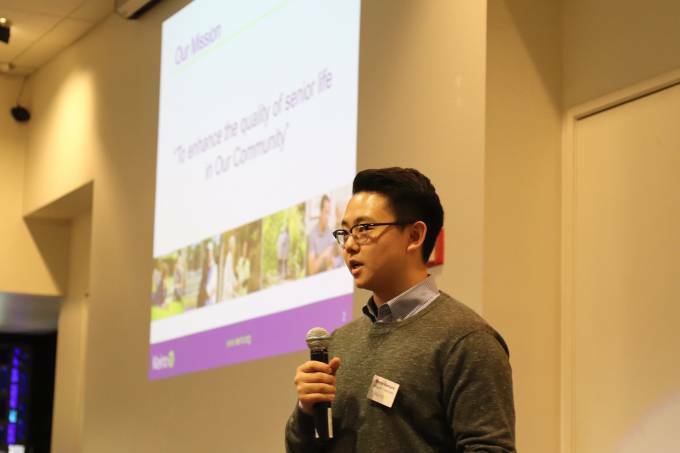 The planning committee helped us determine that family dynamics and caregiver stress were two huge challenges for their community, so those became our keynote presentations. Other questions like “How can I use my phone to make caregiving easier,” “How do I take care of someone in the house without a professional caregiver,” and “How do I begin looking for an in-home caregiver?” were all addressed in their own breakout sessions. Organizations represented at the resource fair as well as health screenings provided by the American Heart Association were contacted with a particular focus on how their services would best supplement the presentations attendees heard throughout the day. As a self-described chronic worrier, I’m always very relieved by the time an event like this Caregiver Conference is over. However, what made the end of this particular conference even nicer was the feedback I heard from some of our participants. 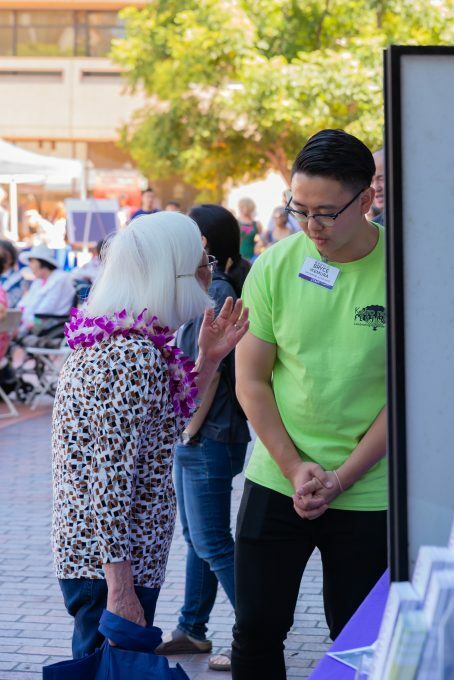 We received a lot of the typical feedback such as “I loved the bento!” or “Please put the presentation slides online!” and this time, I had a chance to talk to folks who were telling me about their action plans. I had a few caregivers tell me their plans to take self-care more seriously, finding “pockets of joy” as coined by our first keynote speaker, Patty Watson-Swan. Others were determined to download and experiment with some of the mobile applications my Keiro colleague, Makoto Kotani, demonstrated in his Mobile Caregiving breakout session, and even more submitted evaluations with different forms of hands-on caregiving demonstrations that they wanted to see from us in the future. I love receiving positive feedback just as much as the next person, but I’m also aware of the many things we need to improve for the next time we put on a conference. While many attendees did submit evaluation forms with comments on the elements they enjoyed, something that I read on almost every evaluation was a challenging situation that they are encountering and doing their best to overcome. With so many caregivers in the community and even more older adults to continue serving, these Caregiver Conferences are a good reminder that there’s always more work to be done before we have achieved our mission. Until then, we’ll continue to do our best to enhance the quality of life for older adults and their caregivers in our community – one presentation, one class, and one conference at a time.